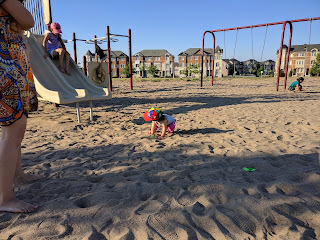 First off, I'd like to apologize for the lack of activity on this blog. Who would have thought between work, a newborn baby girl, and lack of sleep, there would be no time for writing? 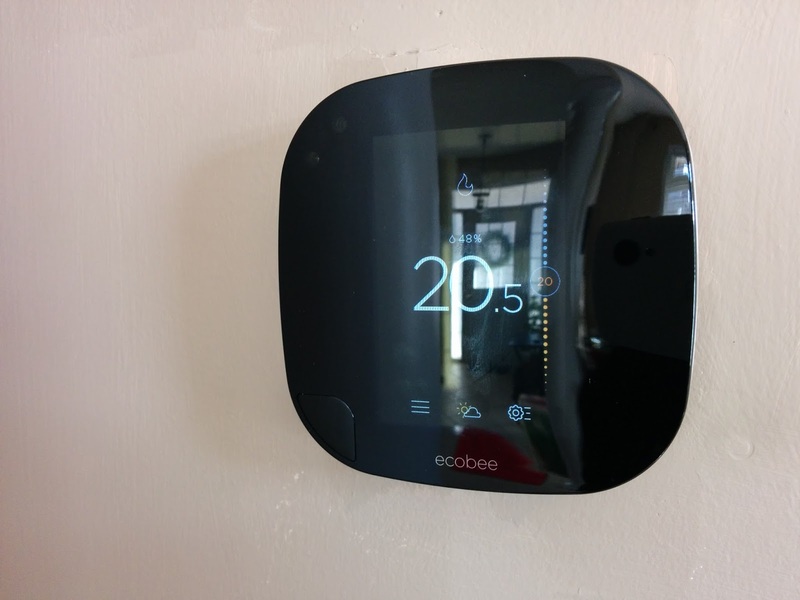 All joking aside, this past Black Friday (technically, it was Cyber Monday), I purchased the Ecobee3 Smart Thermostat on Amazon.ca. I was looking to purchase one, but I didn't want to pay full price for the main unit and the remote sensor package. After reading reviews, I knew there was a chance that Amazon might have some sort of deal. Of course, I wasn't sure, so I purchased the thermostat originally from Ecobee directly. The return process was easy, so it wasn't too bad. Just took a while to process, but that's okay. The thermostat arrived before the Cyber Monday deal, so I installed it before the Amazon deal was up. 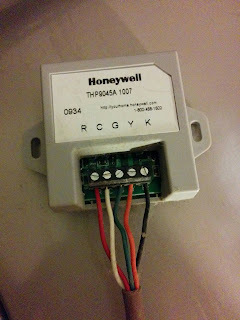 I unboxed everything and based on the wires on my old thermostat, I needed help figuring out what was happening. The ecobee3 requires 5 wires minimum to operate (4 if you install the included Power Extending Kit (PEK)). However, one of the wires on my old thermostat was listed as K. Using the ecobee wiring compatibility checker, it determined that I needed to contact support. 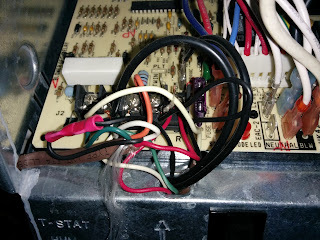 I contacted support and they asked me to look at the thermostat connection at the furnace and look for the wiring. Especially to keep an eye out for an add-on similar to their PEK. Suffice it to say, after I opened the furnace panel, I found what I was looking for. I definitely needed to install the PEK that comes in the package. 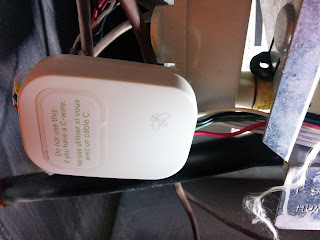 They also advised me that I should also disconnect the Honeywell PEK (theirs is called Wire Saver I think). 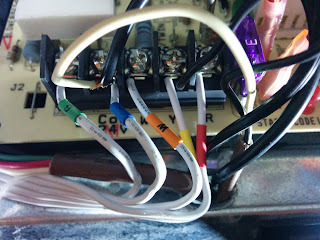 I took many photos and video of the existing wiring in case I needed to go back to that. After powering off the furnace, it took only 15 minutes to trim the wires and add the PEK to the system and another 10 minutes to change the thermostat upstairs with the ecobee3. It was winter and I definitely needed to get this thing working. So I checked all the wiring and nothing. After two hours of Google and wire checking, I noticed an LED on the furnace board flashing. I vaguely recalled that the LED was supposed to be solid, so I looked up what a flashing LED meant. Based on the blinking intervals, I determined that the furnace blew a fuse. A fuse? One helpful YouTube video later, I figured out where the fuse was and yanked out the offender. It was one of those blade fuses, like in a car fuse box. As we needed the fuse right away, I drove to the auto parts store and picked up a pack of 5 for $6. When I got home, I powered everything back up and the ecobee3 was alive! Yes! Set up of the ecobee3 was easy. Just needed to connect to the home WiFi, register the ecobee3 with an email, and using the confirmation code provided on screen to register the ecobee3 on their website. One of the features? 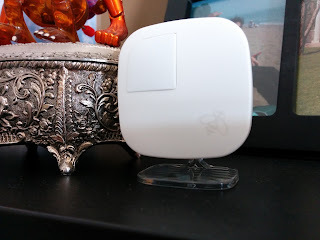 You can adjust your thermostat from anywhere you have an internet connection. They even have an app to view the thermostat while you're on the go. That's smart. There are also reports on the website version to see everything that is happening from when the ecobee detects activity, temperatures in each zone where you have sensors, and whether a room is occupied or not. The ecobee3 does this with remote sensors. This is one of the remote sensors I installed around the house. This one is in the living room. 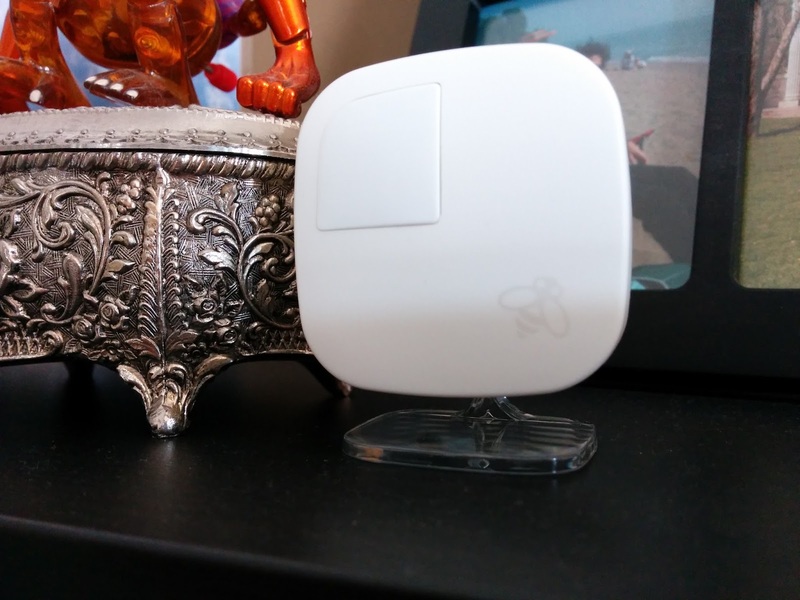 There's another remote sensors in our bedroom and in baby girl's bedroom. This also includes the sensor in the main thermostat unit. During the day, the main thermostat looks at all the sensors and calculates an average house temperature based on room occupancy, duration of room occupancy, and temperature (in addition to other variables I have no clue of). If a room is unoccupied, it won't be factored into the average house temperature. In the winter, if the average house temperature is lower than the programmed temperature, the furnace turn on. 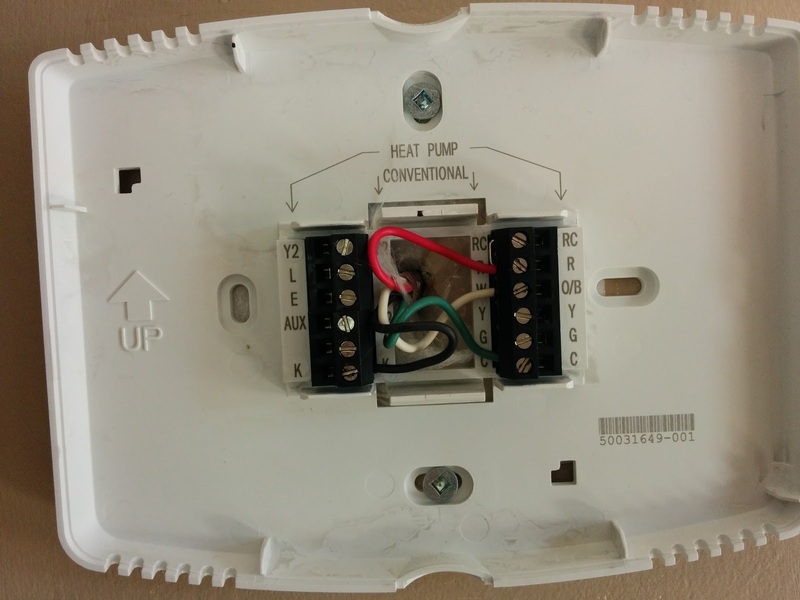 This may mean some rooms are warmer than others, but with the old thermostat, it would heat up the house until the temperature was reached where the thermostat was installed. In our case, that's the main room. In a lot of homes, that's the main hallway or front foyer. At night, you can also program the ecobee3 to ignore certain sensors for the temperature calculation. As baby girl is sleeping in our room, we only have our bedroom sensor set up for Sleep mode. 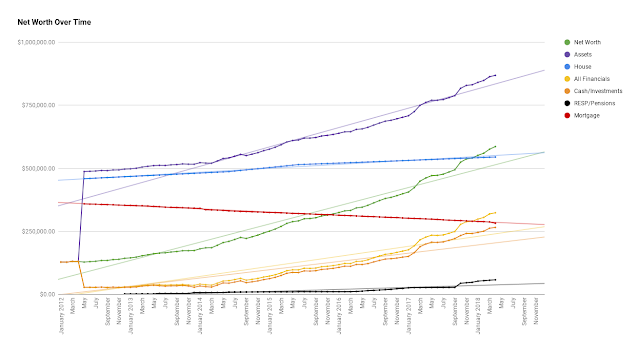 What about detecting occupancy? Well, in sleep mode, it ignores motion detection... since you're sleeping. Pretty smart! 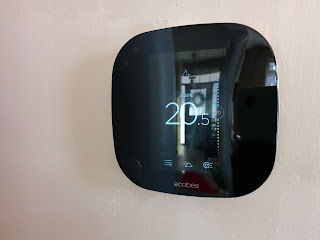 Finally, my other favourite feature of the ecobee3. The automatic detection if you're home or away. Most thermostats, you program in when you're home and when you're away. Great. But what happens if you need to be away during a schedule home period? Well, unless you remembered to turn down the thermostat before leaving the house, nothing. The thermostat will continue heating the house as if you were home. With the ecobee3, if all the sensors don't detect motion during a scheduled home period, it automatically overrides the programmed schedule and changed it from home to away. The reverse is true. during a scheduled away period, if it detects motion in one of the sensors, it changes from away to home. Isn't that amazing? Smart even. So finally, the other reason to upgrade to a smart thermostat. Our natural gas provider was offering a $100 bill credit if we purchased and installed a smart thermostat in our house by December 31, 2016. Of course, now that the old program expired, they brought it back with one that expires on December 31, 2017! It's the exact same incentive. Maybe I didn't need to rush it, but who would have known? Regardless, I'll be looking forward to my credit soon. Either on the January bill or for the February bill. I cannot wait. It would be hard to quantify the amount of savings to be had with a smart thermostat installed this year and baby girl and cloth diapering means extra laundry. However, now was a good time to get one with the baby girl and the Ontario government introducing carbon taxes on natural gas. Every bit saved helps. Even if we're using more than before. Stupidly Amazing Data Only Plan From Fido?